52mm......not for the weak wristed. This would have a very handsome, and intriguing, visual presence when on the wrist for sure. A very nice price point makes it easy to put there. Thanks Lee. Just picked one of these up at Amazon with FS and FR for $99 delivered. Thanks, Lee! Fire Sale pricing on a dynamite design! Thanks Lee. 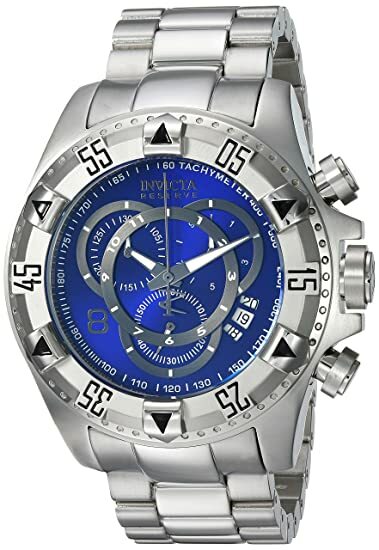 Invicta seems to be giving away a lot of pieces with great prices these days? Could be they are clearing out inventory on some, "Over Hyped", designs.